Another view of The Galaxy. Here is another shot of The Galaxy, the Milky Way. This image is looking west-southwest and shows a better view of the galactic mass. The photograph was taken in Glen Haven, and is a good example of the skies which hang overhead. If you are interested in a print they are available here, or you can view all the photographs in the still life gallery. 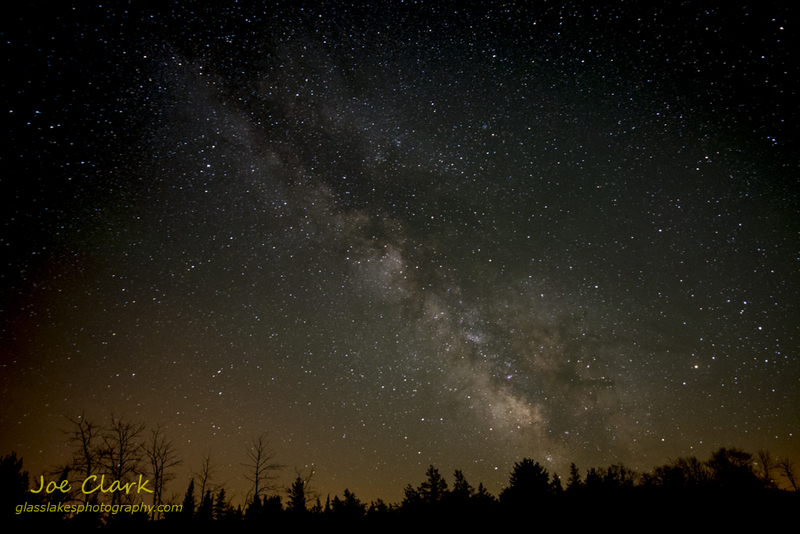 The students at The Leelanau School are lucky enough to have this view on all clear nights, especially with an observatory on campus. If you would like to follow Glass Lakes, we are on Facebook, Twitter, Tumbler, and Google+. Nikon D-800, ISO: 6400, Shutter 60 seconds, f/2.8, Sigma 17-35 f/2.8 @ 17mm. Camera mounted in landscape orientation on a heavy Gitzo tripod, cable release, and mirror lockup mode.